Microbial diversity is an integral part of ecosystem and is a ticket to each country’s prosperity because it enables the development of a framework for long-term conservation and facilitates targeted bioprospecting initiatives that can potentially catalyse industrial innovation. Microbial culture banks, also called culture collections, are the key repositories of biodiversity. Microbial cultures from the collections are used by scientists to make sure that the materials they use are authentic. This is particularly important in research leading to peer-reviewed publications and patent. Reference strains are also of paramount importance for clinical diagnostic testing, food, water and environmental microbiology testing and validation studies. There are 708 microbial culture collections registered under World Federation of Culture Collections (WFCC). 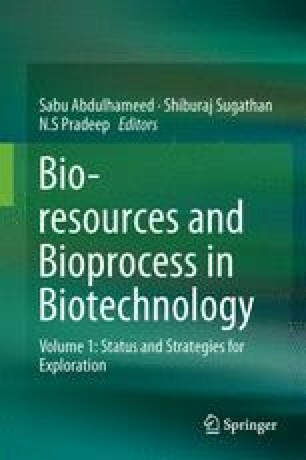 This chapter deals with the current international status of microbial culture collections, their functions and services they provide to meet the current and future demands relevant to biodiversity conservation and biotechnology.